Durga ambajiyan Yantra for the worshippers of Maa Durga. Durga Ambajiyan Yantra is of Shri Durga Ambe Maa. It is carved on gold, silver or copper and is worshipped through Beej mantra " Om Durg Durgaye Namah " and it can be placed on any Ashtami tithi of the month. 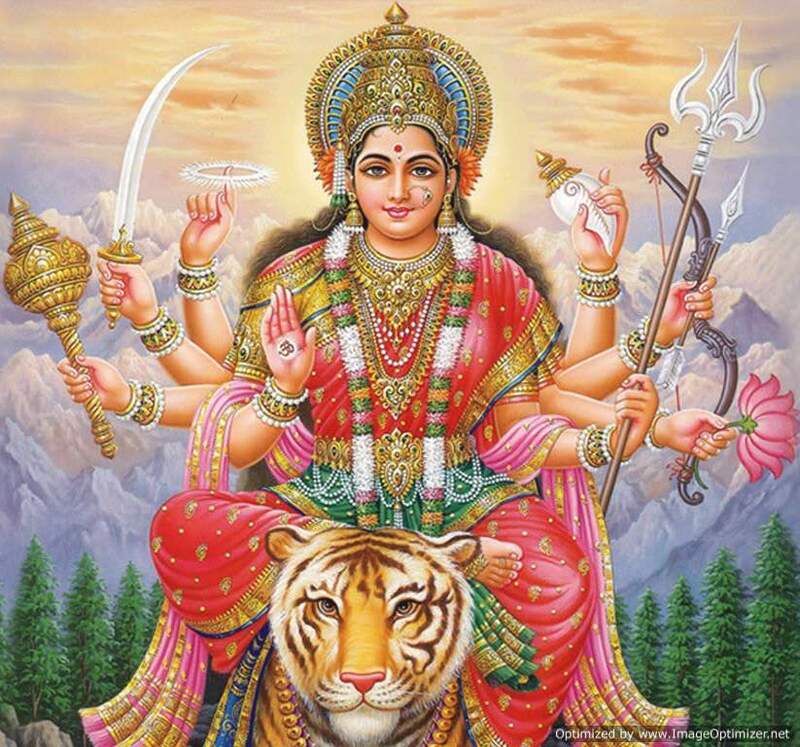 Goddess Durga symbolize Shakti , energy , power and strength . She is the embodiement of purity, knowledge, truth and self-realization. The highest form of truth present in any being or Jiva is known as "Aatman" or supreme consciousness. This supreme consciousness or the absolute soul is infinite, birthless, deathless, beyond time and space, and beyond the law of causation. Goddess Durga is the inherent dynamic energy through which this supreme consciousness manifests itself. This yantra is the form of energy, Ambajiyan Yantra is also used for peace of mind. It is embossed on copper plate with silver polish to attain "Peace of Mind". It remove difficulties and to conquer enemies are the special effects of this yantra. It bestows wealth and property and protect the person from all sorts of dangers. Worship of this yantra as per Adhayaya 4 sloka 17 of Durga Saptashati removes poverty. It also indicates result when worn on neck, arm or on body. 1. It protect from all sorts of dangers. 2. It helps in attaing peace of mind. 3. It protects from evils, it is belived that where there is Durga ambaji yantra no evil can enter the place. 4. It helps in conquering the enemies.